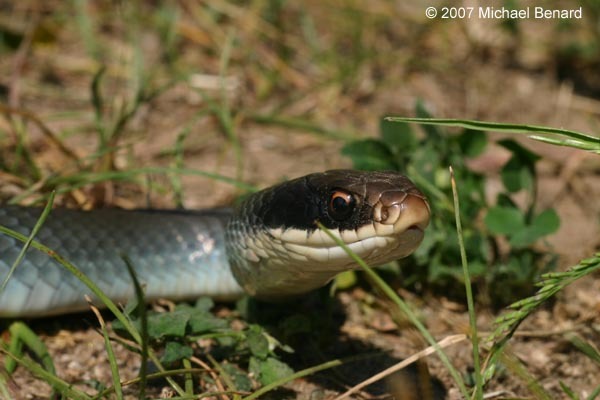 Blue Racers (Coluber constrictor foxii) are a geographic variant of the widespread Racer Snake. 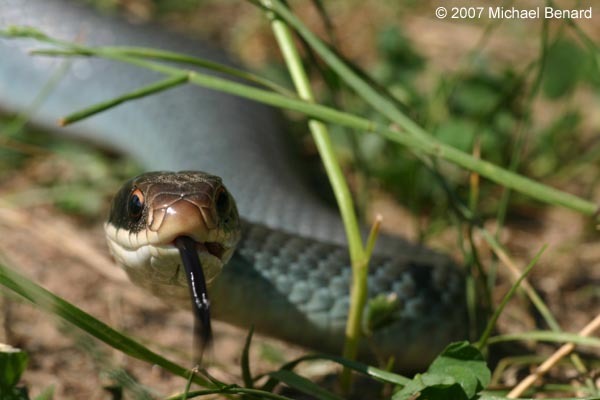 Blue racers are found in Ohio, Illinois, Indiana, Wisconsin, Minnesota, and Michigan. The unusual blue coloration of adults set them apart from other racers. 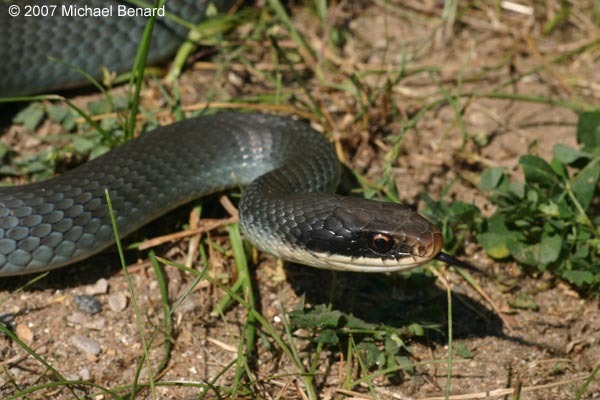 However, blue racers are not born with this coloration. Instead, juvenile racers have a spotted or mottled pattern, and don't develop the blue color until they approach adulthood. The snakes shown here were observed on the University of Michigan's E.S. George Reserve.